In this article, I’d ask you to put aside any preconceived notions, and to take a look at some of evidence for the existence of a hell as a parallel dimension that has been called Sheol, Xibalbá, Narakam, Diyu, Tartaros, Kuzimu, Uffern, Peklo, Hades, Helheim, etc. and is the location of the inter-dimensional entities described as demons, asuras, tzitzimimeh, the shayātīn, the guardians of the netherworld, shedim, daevas, and alu, in different cultures spanning our globe and history. Definitely, this article is a masterpiece!! Some paragraphs I have read them again and again. Obviously, this result comes from a deep searching and understanding. That is also amazing is that article matches perfectly the current scientific researches and the results of the internal knowledge from ancients years and various civilizations. But the most important is that it helps me to apply this precious knowledge with a practical way. It also helped me to understand what is consciousness and where is its base inside me. I had found this answer before some years but unfortunately, I had rejected it, as it “should be” in the area of the heart. Just wanted to mention a few things that were again showing me how the reality of things are different than what I would’ve normally thought. A short while ago I was at the doctor’s and something happened and I fainted, collapsed. Now when I’ve seen this happen to others it sometimes doesn’t seem, from the outside, like a very big deal. But for me it was very shaking. I had felt a nauseousness coming on very suddenly, from there on there was a complete blackout until I was looking at the ceiling, with people running around me, and me feeling the physical afters effects of my body such as a loud white noise in my ears. The thing was that for a few moments I couldn’t remember who I was or even what world I was in, also even though I was apparently only out for a few seconds I felt in some way like it could’ve been thousands of years. I’m not sure exactly what happened. I’ve heard and read of people who got ‘pushed’ out of their body due to a sudden shock, I think I was knocked out by my body, and yet my consciousness hadn’t gone into my astral body yet. But that somewhere in between state without a place for my consciousness to manifest? felt strange and was unpleasant. The ‘rawness’ of the experience was something quite scary and in the few following hours my viewpoint on life, and how fragile it is, was very different. I also felt that the connection to the divine needs to be a real thing within us and if it’s not it won’t work when it comes down to it. What I had was even just a small thing, I thought about the people who have much much more serious things and who perhaps have less faith. Like I said I viewed things very differently and life seemed so much more serious. Now I’m back to normal again with my viewpoint being more ‘casual’, but which outlook is the more accurate one? I find it can be difficult to remember and feel the seriousness of that other side of life in everyday life. Some things, like this great article, might remind me, but then I also forget again which somehow allows for mediocre efforts and work. One thing I do find to help me remember, or maybe I should start with its opposite: when I’m numbed, mixed up, and kept down in by my subconscious it keeps me in this bubble of an illusion which doesn’t allow for much perceptions and the serious insights beyond this life. So in order to see more of the reality of the other side and to be able to remember and feel it I find I need to get clear and practice in order to have those things reach me. The numbness and sleep, which I guess most everyone is in, just seems so dangerous. Thanks for sharing that experience, and I’m glad to read you are OK and things are back to normal again! That in-between place you describe sounds like an awful state / place to be in. It does make you wonder what that was. I never fainted like that. The short duration of it might have contributed to the shock that you describe. Leaving the physical and coming back again soon after. It reminded me of when you are drifting into sleep unconsciously and all of a sudden fall right back into your body. To me, that’s always a harder transition than when being in the dream feeling the pull back to the body and then coming back. These kind of experiences, uncomfortable as they are, do tend to give us that internal shock, make us question reality and realize that life is very precious. As you say this is a much a better place to be in then to live life asleep and forget about the bigger picture of reality. Thanks again. Thanks for sharing your experience Karim. It sounds like it came very unexpectedly and its impact changed your perspective, even though it was concerning and unpleasant to go through. I’ve found that sometimes we can only gain a deep appreciation of the preciousness of life when something comes along to affect us in a profound way. For example, by going through a prolonged period of ill health over recent years, I feel I have gained a much deeper understanding of the fragility of my own body and even my own life, as I’ve seen first-hand and in very real ways how the abilities and opportunities I once took for granted can be taken away so quickly. In the past, I had intellectually understood how fleeting my life is and how important it is to strive to change radically inside, in order to free myself from entering the terrible realm, which Lara describes in this article. However, in everyday life, that theoretical knowledge was not always enough to make me sacrifice pleasures and/or lower emotions, in order to gain something higher within myself. I think many of us can relate to having this theoretical grasp of something, but lacking the profound understanding that can provide enough motivation to change deeply ingrained habits. For example, the habits of smoking, binge drinking, drug-taking, or eating junk food continue to be very popular, despite whatever warnings about their potential health consequences may exist. Or it may be an even more socially-acceptable addiction, such as wasting our free time surfing the internet or watching TV, rather than making the efforts to take up the spiritual work in a significant way. “The more someone can understand about life and investigate the process of it, the more they are going to understand the process of death. It’s better to do something worthwhile in this life, not to end it as it was started, with ignorance and nothing significantly new. Everyone exists over there, comes here, and then goes back over there. And pretty much everyone is going through that process empty-handed—what a waste, what a complete waste of a wonderful opportunity. It’s sheer foolishness not to look at life seriously in this context—absolute foolishness”. Thank you Lara for this sobering start to a new year. I’ve read this article when you first posted and I think its one you can read every day to keep grounded in reality. Like other people here I’ve had nightmare dream experiences as well as being in what seemed like hell in an out of body experience. It’s unfortunate that some people think that speaking about hell is only a spooky story, when its a reality that so many people have witnessed in their NDE only to warn people of the fate that awaits. I remember in one of my first OBE experiences I had after learning the astral travel techniques by Belsebuub was where I was in this room with other people and I used the recitations to clear the negative energy I felt was there in the room. I kept doing the recitations over and over again and then I found the whole scene vanish and my own consciousness was crisp clear and I found myself in this grey corridor like place. I was there in this place so real that I said out loud to myself as though I just made a discovery, ‘this is the parallel universe”. I was there fully so much so that I thought that I had died as I no longer felt part of the physical plane – I was there as though I was transported there. As soon as this thought began, I worried if I had died and tried to look at my hands, and then I woke up physically in my bed. I knew then that the astral is a parallel universe that science used to refer to and that its real. If I hadn’t learned to astral travel I don’t think I would have come to experience it for myself. It felt much more real than here. Its hard to grasp the reality of what awaits as there is this illusion that life will go on from day to day, which is strange since we never know what will happen from moment to moment, let alone day to day. It reminded of Jesus saying that ‘ to live each day as though it was your last’, and really that’s the only reality we have is the day we have now. Thank you so much to you and Belsebuub for sharing this important information and for all the incredible life giving information on this site. Where does Jesus talk about living each day as though it were your last? I’m not living my life like that at the moment but if Jesus said it then I would certainly endeavour to investigate the efficacy of his approach. Thanks for you question. I looked to find where Jesus talked about ‘living each day as though it were your last’ briefly today, but I couldn’t find where I had heard it, as I don’t think it was something I had read that he had said. It seems to me that Jesus may never had said that, but rather it was something I had come to believe he had said. Its great that you questioned that saying that I used, it helped me to reflect on how we can think things to be something or have heard something to be true or repeat something when perhaps it never was said, and to be mindful of that. I think that ‘saying’ where ever it originated from, if I can call it a saying for now, bears a lot of reality for me, as at any moment time can bring about a future we hadn’t anticipated. Its something that really bears significance for me most especially in the spiritual sense, and especially in regards to this article, in terms how I live my life and to whom I have affect and in what way, never knowing if I will have one more day to put things right, to be straight in my ways and be able to answer the questions that will one day be asked of me. Did I forgive, did I understand, did I say sorry, to overcome, to repent for my mistakes and to be closer to the light and close one more door to darkness. I appreciate you’ve asked this question, while this saying has pertinence to me, I don’t want to put words in the mouths of others, especially divine beings and grateful that I can correct this today through your question. Thanks for taking the time to check if that was something Jesus had said. It’s become such a common phrase, and I imagine what it conveys can’t be traced to one person in the end. Though in a way I’ve always found it pretty impractical – I mean, we have to plan as though we have a tomorrow, right? – the sense of overcoming all resentments, being as close to the divine as possible, repenting, seeing the beauty in life, and doing no harm – those would be wonderful things to be able to live every day. Thanks for the clarification Layla. I agree with your comment about this article. Daily repentance is so vital for all of us before our time arrives. “Therefore do not worry about tomorrow, for tomorrow will worry about itself. Each day has enough trouble of its own.” -Matthew 6:34 (New International Version). Thank you Lara for sharing this great article. It really is an excellent summary & it becomes clear & logical that this topic is very important & needs personal investigation. I have had a number of dreams which for me have shown the existence of these lower dimensions. One in particular I found myself there & immediately knew where I was. I remember the raw hopelessness I felt, I knew there was no getting out. Thank you again for this article. As sobering as it is, I found it inspirational. I recently re-watched a movie called The Book of Daniel (based on the Biblical book) and one tale in the story somehow really hit home — it was the story of king Belshazzar’s feast, where he commits the sin of drinking from the sacred temple vessels (dedicated to God) yet not even acknowledging him. Diverging from the Biblical story a bit (and the symbology), it was really the way it was presented in the movie that was interesting to me. He was leading this hedonistic sort of life, praying to all kinds of idols while rubbishing and being offensive towards the truly divine, and ultimately allowing his arrogance and belief that he is above the law and “powerful” commit the offense of tarnishing something that was meant for a divine purpose and using it for his own pleasures and vices. It sounds sort of exaggerated, yet he acted not unlike how we generally often act in daily life in some ways or how we see officials, rulers, and people in power act… And then this writing materialized on the wall, like a curtain falling on an act in a play, decreeing his offences and punishment: “God has numbered the days of your kingdom and brought it to an end; …you have been weighed and found wanting”. He dies that night. What I thought was interesting in that tale is how similar it is to how life is led for the most part, and how amidst the pursuit of pleasure we tend to dig a deeper and deeper hole for ourselves, while at the same time somehow feel like we can “get away with things” — even in very subtle ways. Yet the veil or curtain between us, our actions, and the consequences can be so thin… In the case of the movie / Bible story it was quite literal — he was in the midst of his vices feeling “safe” and oblivious when the curtain fell and his fate and end were revealed, his life ended. It sort of made me ponder how the veils over our own lives can be quite thin too and can in reality come down at any moment, yet somehow we can plod along in a delusion that “it’s alright” somehow and not take care of things that we know need taking care.. Not unlike many of the people who have had these NDEs in hell for example and were thankfully given another chance at life with a new understanding. Thank you Jenny for such a thoughtful reflection on what you saw and understood, it hit home for me, especially the part you said, “commit the offense of tarnishing something that was meant for a divine purpose and using it for his own pleasures and vices.” Taking up a spiritual work only to ‘improve’ life but not actually fulfilling the divine purpose isn’t very far from that I think, since we can use the grace of the divine help for our own pleasures and vices, wittingly or unwittingly to just feel better; even thinking and feeling we know better, like that king, yet we have such a poor understanding of life let alone our own sad situation. I stayed with the mouth open!! In this article, there is wisdom beyond of words that can teach and give us a practical and deep teaching about who we are, what we are… and I have no still read all the article. I have no words to express it into all spectrum. Definitely, I want to study at least some paragraphs deeply. Thank you, wholeheartedly, Mark and Lara!! I had an experience recently, not of hell, but I felt it somewhat relates to the question of this topic. During a dream at one point I realised I was actually in the astral, I was in my old room in the house I grew up in. Often in lucid dreams I feel there is some divine help in things, but this time it felt like I was left more to my own devices. I encountered a negative creature in the room I went into and did one of the recitations, I also flew a bit over the nearby city, though I soon found myself back at the house. When I would try to go through a wall I would just end up in a subconscious haze, this happened multiple times. So I preferred to go outside through a window, where the cold air gave me that little taste of reality. I tried a number of other things as well, but throughout the whole experience I had to fight to try to be clear from chaos and the darkness-clouding perception that tried to take over incessantly. In fact I was sustaining myself throughout the whole experience by doing a mantra continuously. As I was floating in the air somewhere towards the end of the experience the reality of one thing became very obvious. Over there in that dimension and trying to do my best, I’d hit the ceiling of my current consciousness. The limit, and found the root of a dead end. It’s not so easy to explain exactly. To this I did not feel lower emotional reactions such as strong fears, it was more like a bleak reality. When waking back in my physical body I really wondered if a change at such a root level is possible, is it merely the increase of consciousness through destruction of more ego’s, is it a change in energies, is it the creation/activation of higher bodies, is it the incarnation of specific spiritual parts? that will link that root to something living. I do not know. It makes me see though that we are at the mercy of the divine, and that’s not just as a nice line to say. We don’t have a foundation. So when our physical body goes, when that thin platform is pulled away from under us I don’t really see (unless through the assistance of divine forces placing us somewhere temporarily or something) what people realistically expect or hope will happen. Thank you for sharing that Karim. That sounds like an extremely important and profound experience. Karim thanks for sharing your personal story. I can relate to the experience you described where you hit a dead end in the ceiling of consciousness – it happened to me several times while being lucid in a dream. For me instead of a mantra, I would pray. I noticed the same thing happened whenever I encountered negative entities as well – I would do the recitation, become lucid/clear, remember to jump/do a reality check and ask for the Divine but nothing would happen, even after several attempts, I would remain exactly where I was and I knew it wasn’t due to emotional states either. All I could do was pray and ask for help. It was awful and it made me realize how limited my level of consciousness must be. I often ask myself the same thing: what is it exactly that would counter this problem – is it the continual effort to eliminate the egos, the changing of energies? I wish I knew what I was doing wrong to overcome it. This article is very sobering to read and a necessary reminder about what is at stake when we remain asleep and the terrible reality faced when life in this temporary world reaches its end . Like your reply to Karim, your account brought back vivid memories. I do not know why I remember this but it was November 14, 2014. I was in a run down bereft room in a high -rise apartment and woke up in my dream. There were 4 very sinister figures in black, they were tall and thin and had black hats but I could not see their eyes in every corner of that decrepit room. My slow witted consciousness told me that they were demons. Every time I looked at these demons one would mover closer to me. My body shook with fear and dread. A Greek Orthodox priest (from my childhood) appeared and I knew instantly that this was a physical manifestation of my divine Father. In his left hand he held the bible in Greek/Russian Orthodox style and it was bound in the purest, most shiny gold. In the right hand the priest/my divine father held a spike with a golden spear. The actual spear shone brighter than the sun. My divine Father used this spear to destroy two of these sinister figures in black. The other two demons. he threw out the window. I ran towards the window to see what happened to the demons BUT my divine Father said, “do not look out the window.”. I obeyed him. My divine Father without saying a word telepathically told me that I must have faith in the mantras I use against the evil and the demons. I woke up and it was 7 00 am with the sun shining in my eyes. The dream was really vivid. Patricia, like you say ” Al I could do was to pray and ask for help.” I was lucky as my divine Father arrived. The other lesson was that my awareness, in particular my consciousness was slow. Thanks for sharing that interesting experience Karim. It seems like you gained valuable insight which really encourages us to take action in our daily lives and reminds us of the importance of this work. Thanks for your insights Karim. When you talk about the ‘Root’ it reminds me of The Gospel of Truth; well worth a read. You articulated well an experience or feeling I’m sure many of us have had – I know I am familiar with the stark difference between experiences that obviously have divine help, and when I feel utterly alone and sense nothing but my own limitation. Though it’s painful, it’s good to learn how absolute our need of divine help is. Your comment is interesting Karim. It reminds me of this feeling that can be present during the day, this mundane feeling, like when someone asks you “how’s it going?” and you respond “fine”, but it doesn’t really mean anything. Then dreams can be similar, with a sense that something is happening, but nothing really significant. It’s interesting that you found that in an out-of-body experience… I maybe put too much weight on the value of OBEs, when really it’s the inner work that matters. Anyway, what I found most helpful in those times is overcoming the specific obstacle that’s in your way, the one thing that’s preventing advancing. It could be a behavior or a habitual ego. That then makes you ‘worthy’ of teachings and guidance. Usually I notice that if things are dull for a while it’s because I haven’t done something that I was guided to do previously, whether in a dream or by karma. Thanks for sharing Karim and all, I have had similar experiences in the astral as well where I felt like I couldn’t get further and I appreciate hearing other people’s experiences as it left me wondering what is the level of the consciousness and what are its limitations. If what we do each day is the same, over and over again, how will the consciousness expand? Its really bringing to mind how nice ideas about spirituality, a routine of practices, or an enjoyment of reading sacred texts is not enough for our consciousness to break free in a profound sense. I am reminded also of Mark’s call for the inner revolution of the consciousness. How an intense effort of seeking knowledge, layer after layer, and changing within is pivotal to any kind of spiritual transformation. These experiences in the astral plane where ‘nothing is happening’ and we feel stuck etc.. perhaps are a reflection that similarily ‘nothing is happening’ in our daily lives in the pursuit of esoteric matters. To me, figuring out how to achieve it properly, honestly and objectively is a journey by itself. Yes Olga, what you say is true, and highlights a really common pitfall – just settling into a comfortable level where things aren’t too bad to make you push back but certainly aren’t enough to bring about the revolution of consciousness needed to free us from nature’s bind. Very sobering article Lara that really puts our live into perspective. I found myself reflecting on the things you wrote and linked to quite a bit these last few days. Hell seems such an undesirable place to go to, yet the efforts to avoid going there are not really pursuit on a large scale. As you highlight, people are given up their spiritual journey for materialism. Not too long ago a close family member died. What stood out to me was what happened in their last days. They had several visions in which the floor would open up underneath their bed and they would be hovering above this huge black hole. It was obviously frightening for them as well as to us to see them in such distress. The nurse wrote it off as side effects of the medication but I wonder if it was due to that or if it was something real they saw, like a glimpse of what was about to come. Although, it’s hard to pin it down on one or the other, for them it was as real as all of us in the room. It left a big impact on me and I found that experience to be very similar to other NDEs where people go through a black hole or tunnel before going to hell. It seems that the reminder of what happens after death can be used as a trigger to keep that sense of urgency to help others, practice and search for truth. I found that if I am not reminded enough, life can take its own course which will bring me a future that I don’t want to end up in. The struggle against darkness seems to be upon us, either we choose it voluntary now or nature will bring it to us in hell. I loved how you brought together so many references of death and the different dimensions. It really covers a lot of areas, like science, religion, and direct experience, which all seem to line up. And I’m sure there’s more out there. When reading the experience of Arthur Yensen, it reminded me of the importance of our inner state during the day and how Egyptian belief is similar where Anubis weights the heart of the deceased against a feather and based on the outcome, the person goes to hell or heaven. Thank you for sharing a bit of those events Roy. I was close to someone at one point who was pretty suddenly and quickly declining in health and who was approaching death. This person had lived their lives not in touch with anything beyond it and now at a completely unexpected hour, was facing death not knowing what would happen. This was absolutely terrible for that person. Hello Lara Thank you so much for this Article and its given me a deep reminder of my reality which has shaken me to the core and made me feel the True Urgency of this work. And also how fortunate I am to be able to have this information, so that I have the ability to be able to change. I am so lost for words. Thanks Lara for this powerful article which really helps us to see what is at stake here. It’s incredible really, with the abundance of references to it by many of the religions and ancient texts that people are still skeptical of Hell. I liked the way how you’ve described it, making an analogy with the light spectrum, of what is visible and invisible. Its interesting how even some people who define themselves as spiritual, do not accept the reality of Hell. The article you have written, in my opinion, should make it difficult even for a skeptic to refute, or at least make them re-evaluate their beliefs. What a terrible situation we are in, if the world accepted this truth, and all the nations and people therein, would have to live their lives to do what is necessary to avoid this terrible fate. And it seems this is what the ancients did, with pyraminds, monuments, all the sacred sites and mystery schools to remind them and live their lives accordingly. 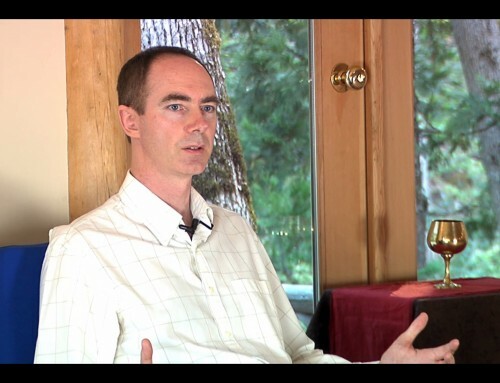 I found listening to Bill Wiese experience both terrifying and empowering. We really have an opportunity given to us here on this physical plane of existence. Even with all its problems and sufferings, its still nothing compared to Hell. It seems many people take what is given to them for granted, and I feel that I should be more grateful for the things that I have too. For example when we wake up in the morning we can see the Sun, we can hear the birds chirp, we are still on that threshold of to be or not to be. And I think one of the best ways to not take a single moment for granted, is to live in the moment. For we still haven’t lost that precious part of us that allows us to be aware, for I fear that in Hell, we won’t even be able to do that, even if we wanted to. In the link below is another brilliant article from Belsebuub on this topic, which surely deserves serious attention. I really love the heart felt video which is also included in Belsebuub’s article of the link below, it’s an account of the near death experience of a Jewish gentleman. To me it shows without any doubts, a genuine account of his experience in hell. It’s also worth watching his full account of being judged on YouTube. The way that I see it, we all have such a magic opportunity to change our destiny and discover true peace, happiness in our lives. All we need to do is repent daily for our wrong doing, and learn to love one another. Today’s information is so clear for all spiritual seekers, and the many opportunities are right in of front us. There’s too much evidence of Judgement day and we have so much to loose yet on the other hand, there’s so much to gain if we take up this amazing offer of mercy from the Gods. I found that detailed account so interesting to watch too! There is strange flavour of truth to it that you know somewhere deep inside you. Watching such testimonies helps then to remember what really matters. A lot of important information here to be studied, thanks so much for sharing. It’s interesting that no matter how much one carries on ignoring it in daily life, all it takes is a really bad nightmare to remember how terrible hell truly is. And then even with a big shock like that, it seems easy to once again carry on as if everything is ok, just living our lives and doing what we do. But inevitably our life will come to an end, and then what if there will be no snapping out of that horrible, terrifying nightmare for what will surely seem like an eternity… or perhaps it’s easier to just imagine we’re going to heaven, or that life just ends and that’s that? In light of this you can really see why so many cultures and religions placed emphasis on “preparing for the afterlife” or some concept of living life a certain way so as to influence what will happen beyond it. I think this article does a great job of highlighting how hell is a real place and how it fits in to our understanding of life, be it from a spiritual, religious, scientific, or physical point of view. Good questions Jordon, that quick snap back to a ‘normality’, just bumbling along, is all too familiar. How to hold onto the sense of urgency, without being brought down by fear, that’s the balance I’d really like to find. Great point Jordan, it made me think of something else that came up while watching the OBE videos. In one of the accounts the young man was saying that everyone was worried that they didn’t repent. A lot of people have the idea that hell maybe real, but all they will have to do is repent when the time comes. Not to say there isn’t true repentance but how many people banking on repenting at the end will have true repentance. 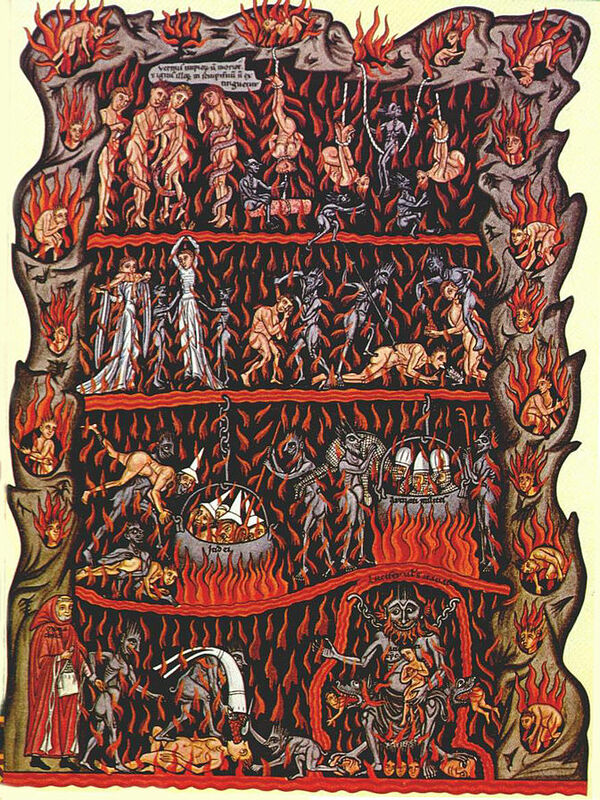 The thing that really freaks me out about hell is how many laws you would be under. Astral plane has less laws so there is no sickness or pain, 3rd has more so we get sick and can get hurt. The farther you go down more laws are upon you….I don’t want to find out. I realise this article focusses more on showing the existence of hell, rather than some of the other aspects of the subject. What came to me recently was the importance the Mother Goddess/Divine Mother plays in relation to hell. That her part in swaying our fate one way, or another in saving it, is something not to be taken lightly or for granted. Over time in this spiritual study and learning I’ve increasingly come to see that the divine and the reality of things is both more merciful and blessed than I imagined, and also more terrible than I would’ve believed. Living an ordinary life in the world, with an ordinary psyche, it really is an illusion. Where without the specific efforts one is virtually unable to pierce through that bubble and perceive beyond it. That person Bill Wiese says some things, something I’ve also caught glimpses of. That’s things we take for granted, our human body, our mind, the way we have some control over our psyche. That these are given to us. There was one unpleasant experience where I woke up and I felt it was a gift to even have the ability to breathe. That doesn’t make any sense! And yet that’s how it felt. Another thing Bill Wiese mentions in his video, which I didn’t quite see coming (though I’m not sure how that insight reached him.) He says he was told regarding having to do something difficult that: ‘it’s not about you being comfortable, it’s about you being obedient.’ To the modern western person this would be very controversial to say, getting an angry reaction even perhaps. The changing of our energy and the destruction of the ego states within us when put in the context of a fate of hell, really shows the great importance of her help, and the need for us to do what we must. I’m glad you mentioned the Divine Mother, Karim. I was just going to share something on a similar note. When I was a child I had nightmares very regularly. In fact, I remember some of them very vividly to this day, some 20 -25+ years later. I suppose perhaps with a child’s level of being I was spared the really horrid visions (like the ones depicted in the Hindu hell painting in the article, or the ones in Hieronymus Bosch’s paintings of hell — which I always found eerily real and therefore disturbing), yet I felt the aura and “flavor” of these things in the nightmares nonetheless. Usually I was trapped, chased, there were demonic or monstrous creatures around, and there was this horrid firey orange, red or yellow tinge to everything. Needless to say it was never pleasant. I’d usually become very lucid in these nightmares (I suppose because the consciousness was distressed enough to be shaken a little) and would try to “alter” them so that I felt better (which I hear is a common thing with these sorts of experiences). But one of the things I learned to resort to at a period when they were really intensified was praying to my mother. It was surprising, but it always worked and once I figured that out, and whenever I became remotely lucid or felt myself starting to get sucked into this “tunnel” as I was falling asleep which I knew was dragging me back to these places I began to very naturally visualize my mother and use her as a sort of “shield” or my protection and it always worked somehow. When I later learned about the Divine Mother from Belsebuub’s courses, and how the Divine Parents in general have a role akin to our physical parents and will sometimes take on their appearance in the higher dimensions those experiences came to mind and I wondered if it was the childish intuition that helped me figure that scenario out and helped me avoid the nightmares by connecting with my own Divine Mother somehow. Or maybe I just had that much faith in my mom… 😉 I wasn’t brought up religiously and knew nothing of prayer at that time, but this was probably the earliest form of prayer I can recall — focusing on my mother who was my salvation out of these realms. That was really touching to read Jenny about how you intuitively tapped into this powerful help of your Divine Mother as a child, through imagining your mother. Its good that you figured this out and found the way of protecting yourself from those regions! I used to do that sometimes with the image of my father, not in the hell-like scenarios, but whenever distressed and feeling vulnerable before going to sleep. I would imagine this powerful father-figure and it calmed me down and I felt cared for and protected. I also remember the relief and joy when I found out on Belsebuub’s courses about each of us having our own Divine Mother and Father – I have never thought about it that way before. Just from the general Christian beliefs, I thought God-Father was this common figure, nothing too personal. But these personal Divine parents sounded very nice to me and like they were specifically looking after me as a person. It also stroke me what you mentioned about probably being protected in a way as a child to not experience the worst hell-like scenarios in your dreams. I think I must have been protected in this way too, as I only remember a few dreams of a torturous nature, and I always felt more like an observer there. Thanks for sharing again and wishing you a continuous Divine protection! Interesting that you used your father as a source of protection, Lucia. I guess intuitively we can grasp a lot about life, how to handle difficult circumstances, how to relate to the universe very simply as a child. As an adult I’d never have thought to pray to my physical mother or father if I experienced something similar for the first time — it would seem strange somehow, illogical even. Having the understanding and experience of the Divine Parents makes so much sense that these are the forces we often turn to innocently as children, our physical parents being a representation of that higher aspect — this more personal connection to God through the Divine parents definitely feels like it keeps me more honest and sincere with myself. I really like what you said at the end of your comment Jenny. “Personal connection to god through the divine parents definitely feels like it keeps me more honest and sincere with myself” For me having that understanding has helped so much with awareness. Not to think about them but to try and feel them through awareness and to have a yearning to be with them always has helped so much with being aware it’s amazing. Remembering to do this in any situation will keep us in line. “…which I knew was dragging me back to these places I began to very naturally visualize my mother…” That does sound like a wonderful deeply intuitive action to take. Reading your experience again just now also gave me the feeling that experiences of this esoteric kind happen to many children in childhood, including our own little ways to deal with them and such. But the memory of it is often lost when growing up. I find that because of such information Belsebuub gives in ‘Return to Source’ for example explaining about the Father, Mother and Son, as well as the principle of ‘As above, so below’ that I’ve come to better see and appreciate the beauty of those principles in daily life. Seeing the love of parents towards their child(ren) is very strong, as well as the beautiful joy, light and love that comes from a child. I happen to be fortunate enough to witness this a lot daily and it’s a great boost and reminder for me seeing the parallel of such a divine principle manifest down here below. Thank you Lara for this elaborate article about the infa-dimensions. I think you covered all the areas that we have access to information about them. Science has made some steps closer and maybe is not so hard as it used to be for “nonbelievers” to believe their existence. But still, I think is more for an intellectual understanding. The direct experience makes big difference and I was wondering if those who have it, were chosen for that or can happen to everyone. I mean apart of those who are practising astral travel. 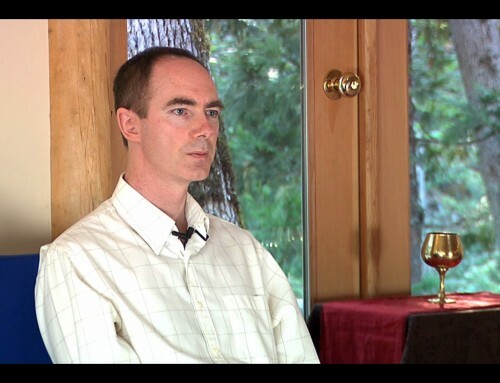 Don Brubaker’s testimony for example is quite moving and actually shocking for a nonbeliever. As well all the testimonies you presented are quite interesting and life changing for those persons. Your experience written at Belsebuub’s biography is quite powerful and I was shocked when I first read it. 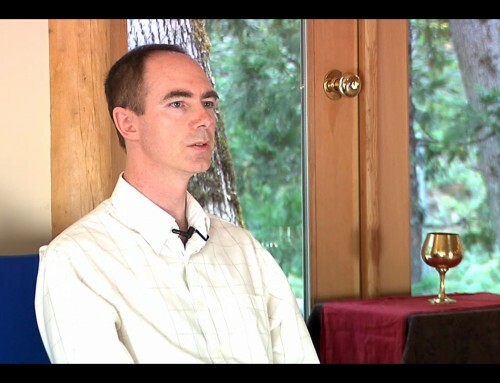 http://belsebuubbiography.com/in-solitude/ It gives a different point of view and the great potencial one have joining with the divine/light. I don’t have any apart of nightmares at the past but I’m more than convinced about the existence of hell from the heavy energies that make my life miserable. When people are waiting to experience heaven or hell after death according their religious beliefs, is a great oportiuity we have, to explore it during our life time and be more prepeard when this life will end. I liked also that this article came after the period between the autumn equinox and winter solstice, which is the time of descent into the underworld. Thanks again I hope/wish more to come. They are a great boost and help! Thank you for this extremely shaking article Lara. It’s been a strange experience, to read this article and watch the videos over a couple of days, and to try to fit it into how I experience life – something that seems to often go by quite slowly and gently, and like Julian said, often without any obvious consequences from actions. The intensity of both hell and heaven seem to be at a totally different ‘speed’. How do I change my internal level so I make changes at the speed needed to avoid such an awful future? This is what’s playing on my mind now. Seeing it from a scientific viewpoint is interesting – I wonder how many convicted scientists might be swayed when they realise their ‘religion’ points to the truth of religion? Your account of experiencing a nightmare through a very upset stomach and comparing the entrails of the body to the entrails of the earth was also very interesting. I’ve researched into autism, being deeply saddened by so many children now suffering from this affliction, which from all accounts is like being locked into an internal hell. There’s a lot of research that shows these children have severely damaged intestines, and that it’s this damage that causes the mental anguish and breakdown – not just through physical pain but from the toxicity of the gut spreading throughout whole body, and from your article I’m seeing, also by their being somehow tied to the inferior regions of the earth, or more easily influenced by them, through these damaged parts. Another hideous twist to this is that although officially there’s ‘no known cause’ for autism, dig a little deeper and bio-weapons, GMOs and vaccines are all linked to its rise. Have the forces of darkness figured out a way to induce hellish inner states in people, effecting our bodies with knowledge of their link to the lower dimensions? Thank you again. I hope everyone who reads this, myself included, is able to rise above that which is hindering their spiritual progress to avoid this horrendous destiny, and instead become part of the forces of light. Regarding the link of our entrails Lara mentioned and that you highlighted. I’ve always been a bit of a hasty, unthinking eater and its my insides that have had to take the blows for that. Though I’ve seen I couldn’t go on like that. There’s a definite relation between our bowels, stomach, digestive system etc. to our how our psyche feels. In fact coincidentally the night when I was reading this article I had an extremely acute pain in my stomach after eating a certain meal. It was very obvious how this affected my mood and how connected the pain in that area was to how I was feeling, my outlook towards things was quite miserable. I also recently came across some cases of the other point you mentioned. Of when scientific measurements start to point to spiritual truths. 🙂 What a scientist does with something like that shows a bit about how a person is I think. Has anyone seen the film Interstellar? No, haven’t seen Interstellar. Why? I think you can continue to be a ‘hasty, unthinking’ eater for a while, when you’re young and healthy, but also before you notice some things. For me, when I started to notice the difference effects on my psyche different foods had, and started to see my body as a gift and linked to my divine mother, (as the form for my consciousness in this life), I changed my habits. I think it’s no coincidence the forces of darkness use poisons to weaken our body. I forgot to mention that there’s a lot of evidence for (and cases of) children being brought back from autism, which is considered impossible by mainstream medicine, if caught young enough (under 5) and given the right diet. It seems incredible, but then so is the extraction of ourselves from the demonic realms in which a large part of our energies come from. Actually the two share a return from a nightmare state to clarity, but of course on different scales. Hi Ella. I’ve read about that too, how vaccines can cause autism, one reason being because they contained thimerosal which is mercury that wreaks havoc to the brain and nervous system. It’s unbelievable how such a toxic ingredient as this was ever allowed to be used on the public. However, it seems after thimerosal started gaining publicity, they replaced it with something else, aluminium, which might even be worse. What is even more concerning is that people’s rights are being taken from them, with forced vaccinations happening at schools to children, and there have been many incidences where people have become seriously ill that can affect them for the rest of their lives. Clearly the FDA is not our friend, with many of the prescription medications being worse for human health than one can imagine. However, under the guise of medicine, poison is being sold and the poor people trust that they are in good hands. Hi Beyonder, Unfortunately my son has autism. It’s pretty hard to think that we did this to our son. But it’s interesting that autism usually comes on around the same time the vaccines are given. They gave my son multiple vaccines at once and my wife even objected to this but was assured everything would be fine. We’ve tried to get legal help but haven’t had any responses from lawyers. Here in the US a Dr. Jeff Bradstreet came out publicly with his research on the links of autism and vaccines and he ended up dead. It was supposedly a suicide attempt but all his friends and family are very suspicious. I’m still not 100% that’s the cause but it sure seems like there is something going on. Hi Rob, this is terrible and so sorry for your son! I hope there is still a chance to minimize the effects of what happened and that he can still live a good life. There has been a lot of research done on autism vs vaccines (I am sure Ella could recommend the best sources) and people who take their time to read it would never vaccinate their child in this time and age. I personally don’t think vaccines used to be THIS dangerous in the past, but what they are putting in them how is not human at all. Fortunately, the new U.S. president seems to be taking this seriously, despite the overwhelming criticism and fear-mongering. These are crazy tijmes we live in for sure… Wisning all the strength! I’m also really sorry to hear your son has been diagnosed with autism. I just want to say that I don’t think it’s always vaccines that are cause for the onset, there are cases of it occurring without vaccines, but the causal link is a well documented, and well hidden one. The pressure parents are under to start and stick to the vaccine schedule from the first day of birth is huge, and unless someone is really clued up before hand, having done research beyond what mainstream science and the media present in no uncertain terms, I can’t see how they would withstand it. You can’t even bide your time to think, and that’s even if it wasn’t illegal to opt out (in some most exemptions, including religious, have been removed). Depending on how old your son is, there is a chance he can recover though, which is also not something you’ll commonly hear. A doctor called Natasha Campell-McBride studied the link between the gut and the brain after her son had autism, and modified existing understandings about how to heal the gut, as well as the whole body, when it’s been severely damaged and with that, how to heal damaged cognitive function. I actually met her son on the train by chance on the way to a training course I attended of hers, so I saw for myself the fully ‘normal’ man that boy had become! The nutritional protocol she’s devised is called the GAPS diet (Gut and Psychology Syndrome) which is used with developmental education. She says that children under 5 have a good chance of recovery, and even if older when proper treatment starts can make improvements. If you want to look more into the science and research that refutes a lot of the story that vaccines stand on (has eradicated infectious disease, is essential for herd immunity, etc.) a really good person to start with is Dr. Suzanne Humphries. There’s lots of her talks on Youtube, and her book/website Dissolving Illusions shatters the supposed historical triumphs that vaccine use today stands on. I hadn’t heard of that doctor you mentioned that died in suspicious circumstances, but the story is familiar. 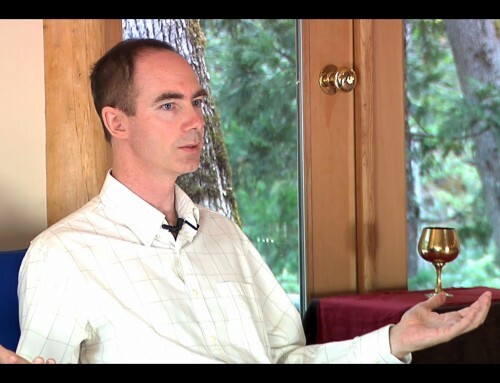 There have been a lot of suspicious deaths among ‘alternative medicine’ doctors in the US in recent years, often ones who spoke out about dangerous practices in medicine today. Did you hear of the recent documentary Vaxxed? It caused quite a stir recently – (Robert De Niro nearly showed it at his film festival, before the pressure to pull it was too huge) it’s about a CDC whistleblower, Thompson, who came out about the MMR-autism link. It’s also directed by Andrew Wakefield, the doctor whose ‘debunked’ study is constantly cited when people dismiss vaccine damage. It’s worth understanding his case in more depth too – there’s a lot of misinformation surrounding it, and twisting of the truth, until a completely distorted version has become commonly parroted and used to mock any suggestion of a link. The case is another one of the foundations of the vaccine pushing narrative. The legal situation with vaccine damage is awful. Basically the pharmaceutical companies in the US are immune from liability. There’s a separate ‘vaccine court’ that runs on dubious rules that’s been set up to deal with claims, that are then paid from tax payers money, and which has paid out millions, all very quietly. Hi Rob, I am really sorry to hear about your son. We can never really know for sure if vaccines were the cause in each and everything case, but the circumstances seems to suspiciously point that way in many instances. If in fact the vaccines were the cause and depending on what type of autism your son has and depending on its severity, with the help of natural medicine, I am a big believer that any harm done can be reversed. I am no expert, but from my understanding, the first avenue to take is to find a good naturopath that would test for heavy metal toxicity for elements like mercury, aluminum, cadmium etc and remove those if present with a gentle detox program. Natural medicine can be a big helper; for example coconut oil which contains Medium-Chain Triglycerides (MCT) have shown beneficial effects when taken daily. Some others to look out for are N-Acetyl Cysteine and Chlorella. The death of the doctor you mentioned does seem strange. These big corporations that make money over people’s misery sure don’t like when someone rattles their cages. I wish you much strength and healing to your son. Thanks so much for the support you guys. I will ask Lucia for your email Ella so we don’t spam this thread with an unrelated topic. You should her from me soon. Thanks for the tip Beyonder, I actually started giving him mtc not to long ago. We also give him probiotics and cbd oil and have also cut out all sugar and junk food. It hasn’t been long but we’re already seeing improvements. It sounds like you’re moving in the right direction Rob, it’s great you’re seeing improvements already. I look forward to hearing from you! I am also sorry to hear about your son’s autism and its impact upon your relationships within the family. I hope the suggestions from Ella and Beyonder will be helpful for him. I’ve read quite a bit about the gut-brain connection and also know a lady who cured her son through nutritional means. It’s great to hear that you’ve seen some early improvements and I wish you and your family all the best with whatever strategies you choose, both in terms of your son’s health and in coping with the situation as a family. Hi Karim. I can relate to what you say, after eating an unhealthy meal, I feel its much more difficult to sit down and do a meditation practice. The energies feel more heavy, and if you have stomach ache too that even makes it worse. I’ve seen Interstellar, one of the few movies that tries to depict the subject of other dimensions. It’s definitely interesting to watch. thank you for posting this article. It came up in the right time, at least in the right time for me because it looks like all events in my life of these days are showing me what the Hell or Abyss or Inferno means. It also looks like my inner Being wants me to see the fate that is awaiting us if we do nothing to get awaken. It seems to be very horrible fate to end up in the Abyss. Where time will be endless with endless suffering and torment of all kinds, which has an end after many, many millenniums. With it comes the understanding to do the Esoteric work and really dedicate our time to it but on the other hand there are very strong egos trying to stop us from progressing that could help avoid the terrible place where we are all destined to go after the life. In this battle between egos and consciousness the knowledge about Hell can be our great guide to truly put everything into it and win this battle. I can also see the need for you to pass this info with some scientific proof for this generation, which is asking a lot about the scientific proof of everything at least in some countries. NDE’s is very good example that can help people to understand more about this subject. So, I hope people will try to have some experiences about Hell to find the truth for themselves and do something about their fate. I also see the difficulties in passing the message about hell in this modern age when hell is mostly a subject for fairy tales. Many years ago, I talked to a person about after life. The person was a member of a religious group and told me that we can go to heaven or to hell. I asked how we can get to heaven, and the person replied if we in our last hour ask for forgiveness, we go to heaven. I asked what if someone committed a terrible crime of murder, where does the person go, and the answer was to heaven if the person ask for forgiveness. I may not remember it exactly but more or less this was the explanation. I did not believe it at all. This only shows me that people are looking for easy way to get to heaven, at least they are looking for an easy believe that they do not have to do much to avoid hell. And unfortunately, there are so many theories about the subject hell, that it is difficult to find the right information. Fortunately, Belsebuub offers us the tools how we can find out the truth, and this is something different than just believe that there is something. After many years, I see the necessity to study ourselves and to truly find out what does it mean the word Hell or Abyss or Inferno. And hopefully find the way out of it. Thank you Lara for this article. I agree Jiri – it’s unfortunate that some religions seem to offer the easy way out of simply asking for forgiveness at the end of a life, which will hopefully make everything OK. It is tragic really, as the followers of these religions can then mistakenly believe that whatever they have done in this or previous lives can be wiped clean in an instant, as long as they say they are sorry or that they believe in certain things. There would be no real justice in this, as it would mean that those who commit terrible crimes would have no punishment for their wrong actions, as long as they are members of a particular religion, whereas those who make great sacrifices and efforts to follow a spiritual life would be thrown into hell for not adopting the right belief system. According to this logic, gang members who are involved in drug running and murders, but are from a Christian background would be favoured over someone like Ghandi, who is from a Hindu background. This seems along the same lines as the crowds shouting for the robber and murderer Barabbas to be freed instead of Jesus, simply because he didn’t fit in with their belief system. I feel it’s far more sensible to do all we can to pay for our past mistakes while we still have the chance, rather than simply letting time pass and hoping that we can turn everything around at the last moment and go to heaven, or believing that nothing awaits us when we die anyway, so it doesn’t really matter what we do in this life. I believe in the last moment of life one shows the essence of his life, how he lived it. If in his life he never asked for forgiveness it is impossible that the inner cry of asking for forgiveness comes into his mind in the last moment. Of course if a priest standing nearby tells him to ask for forgiveness, he will do so, but just with his tongue, not with his heart, which does not mean anything. I feel it is so much needed to remind us of what is awaiting us if we don’t take this great opportunity that we were given to really change and rise up. What stood out to me from this article is the last video where the person describes their account of hell. He talks about how he was told that he didn’t forgive to someone – and he knew exactly where this came from but he felt that he had forgiven them. It looks like we can be deceived about who we are and hoping for the best when we die but in reality being faced with hell. This deception seems to be a great obstacle to moving forward. I hope we can all see these and work hard to face and correct them. Thank you, Lara, for this in-depth article. Thank you, Lara, for your very comprehensive and detailed article. I will also agree with you, Tina. There are enough stumbling blocks inside of us and self-deception has a good share of how we perceive the truth within, as our ability to ‘see’, to ‘hear’, or to become aware of something betrays us many times and our true incentives can remain concealed. In reality, we could also harm other people with our actions, and to still believe that we are spiritual. Ι remember Mark saying ”it doesn’t matter what you think about consciousness, higher truths, or different dimensions – it’s what you do and what you are that counts”. And sometimes, I feel that our soul has a voice, and her figure would hover in like an apparition, crying like a mother and sighing like a father, for the fate we have to confront in hell and for the good we had once the opportunity to do but we didn’t… our awakening. Thanks Lara, I’ve verified hell and your write is very much worth deep reflection. It would be so sad to waste our lives and end up in that terrible place. Those poor essences suffering in hell is so heart braking. I would love to be worthy enough one day to assist Master Judas in his great work to save essences from below. Hopefully we can truly forgive daily and spread love to one another. What a great insight into hell – thanks Lara. The videos of individual experiences were quite horrifying. The 23 minutes in hell was particularly impactful. It’s interesting to me that most people don’t believe in hell, and those that do expect it is only for the truly despicable people in society (murderers, etc). Many people still seem to think we are continually evolving and that one day we will all be enlightened – despite the degenerating state of the world today. At the end of the day, it doesn’t really matter what we think, the reality of the horrors of hell have been depicted across distant lands and societies over millennia by those who have actually experienced it. This article provides a huge incentive to put in a greater effort. Thanks. This has been a really incredible in-depth summary of the existence of Hell – I have met people who believe in the existence of Heaven, yet who balked at the idea of Hell – which was strange to me, as how could one exists without the other – don’t we live it and see it in our lives? Both good and bad moments, happiness and despair. These exists at the emotional levels, at the thought levels, and in our actions. This duality of existence is even how nature lives by, like day and night, growth and decay, there is always this up & down. So it is just logical then that both exists. But how do we know? I remember before I came across Belsebuub’s works, while I did not know that I could verify the existence of these realms, I always thought that i better lead a good life, for the just in case scenario, and I think most people do this. Yet what I’ve come to realize is that by not changing internally, I may get a respite and go to ‘heaven’ for a while (hopefully) but I won’t stay there, as the cycles of lives continue and would take me for a spin of the wheel again, if I’m lucky. Being able to have OBEs and verifying for myself some of the things you mentioned here has changed my beliefs to instead knowing that yes what you say and what people say about hell is real, very real, and only too real..
And not something I believe that should be ignored – and just having read Olga’s experience of being ‘caught’ in hell only gives me more urgency in taking the rights steps to avoid this dark destination. Thank you to you and Mark for such a helpful, invigorating and sobering article, giving new year’s resolution a bit more of an incentive if there was not enough already that’s for sure. Thank you very much for this article. It is extremely informative and presents the reality of hells in a logical and natural way. The scientific basis for the existence of hells is very interesting and makes a lot of sense. I can see that by explaining things in this way it is so much easier to understand our place in this world, within this immense universe with so many other realities that we simply cannot see or perceive with our five senses. I personally have never experienced going to hell like others here. I can see though that it must be a terrifying place particularly as a person is deprived of the light and any hope of ever having it again, for a long, long time. I also really enjoyed the videos – you can really feel the sincerity of their experiences and what they felt. It has helped to get a better understanding of this reality and that regardless of what we know or who we are we are all subject to this end if we do not overcome our own inner darkness. i was listening the NPR a few weeks ago and they were interviewing some physicists about dark energy and matter. I can’t remember the clues which were expressed but my wife and looked at each other and thought about the ramifications about this information in its esoteric context. Thanks for the research you’ve put together and your own testimony. It’s a shame that there’s so much denial, or on the opposite spectrum, fear mongering about hell and very few people who want to actually investigate the truth of it in a practical way. Definitely not something I’d rather remain ignorant about.. Thanks Lara for sharing this information and accounts of these lower dimensions and the relation they have between our internal and external environments. It makes me reflect deeply on my behaviour in daily life, to make much needed changes. In a parallel universe I asked my Divine Mother where I would go if I did not complete the inner work and I was brought underground into a pitch-black area in which a fiend leaped at me. The out-of-body experience ended immediately. Thank you for your article. Without the perspective of esoteric experience, the world can seem so neutral, as though nothing you do really has any significant consequences. This is so reinforced in society, in no small part due to the influence of the hierarchy of evil you mention in other articles. I think considering the possible reality of hell, reinforced by scientific theories hinting that it could exist as a real place, really puts many ‘minor’ things in perspective, things that we may know are not really OK, but seem OK.
As a friend recently said, watching those accounts is a humbling experience. I only hope the determination that this article brought to me lasts long enough to help me correct many mistakes and see and fix many others I can’t perceive yet. Again, thank you and Mark for your hard work. In general I find that the reality of hell and its severity puts everything else in its place, so to speak. Like other things such as excuses, lukewarm inner work, forgetfulness, indulgence in temptations no matter to what degree, fears, how ‘hard’ the inner work is to do, to fail or to succeed— all of this becomes meaningless and just pales when faced with the seriousness of hell. I always find those video testimonies very moving, and with great lessons in them because it comes from a direct experience those people had. For example that last video of the person standing in line to be judged. He mentions how someone in front of him posted something on facebook and how 300.000 other people were, to some degree I guess, lead in the wrong direction by it. It reminded me again of that insight that each thing we do actually matters, even though being here in this world in everyday life it might seem like it doesn’t. It also made me consider something for me personally. Which basically boils down to that it is so important that anything we project onto others, especially in regards to spirituality, comes from that good source within and is truthful. It’s also interesting how he mentions how ‘alive’ that place felt. Like that the reality there is more real and powerful. The Bill Wiese account also has great insights. Thanks as well Lara for striving to show from different angles that the existence of hell and other places of existence are not an impossibility at all. Thanks Karim – the case you mentioned of someone posting something that misled thousands of people is a good example of how our actions may seem so insignificant or even trivial and yet they can have serious and widespread implications. Aside from the omissions and errors that we all make in our everyday lives and try to excuse, it’s particularly unfortunate when we reflect upon the extent to which misleading information is spread around within the commercial spirituality sector. To me, it’s obvious that this type of make-believe spirituality is just nonsense and yet I get the impression that many of those who conjure up this nonsense actually believe that what they are passing onto others is somehow beneficial to humanity. What a tragedy for these people to then be faced with such serious consequences for misleading people and taking them away from the light, once their lives have passed. In all of this, it seems vital to ask the divine for help and guidance, as our potential to go off track is significant. But at the same time, if we can act in accordance with the divine law, our potential to develop the divine within us is also huge. A great article, thank you Lara for shedding light on the existence of hells and for brining it to our attention. I remember having horrible dreams back in the days when my life choices where habitually not very intelligent. While I cannot say for certain these were of actual hells, but I can definitely relate having them because of my quite low internal vibrations/states I used to live in. A bit more recently, I also recall an astral experience in which I was taken down underground and in that place there were countless unpleasant entities and the atmosphere was filled with distressing voices and it was difficult not to become overwhelmed by an overly frightening environment. I also can recall some breathtaking non-physical experiences of the opposite nature, of a much higher vibration, and these give a tremendous contrast and a hint of the actual qualities of good and evil, of above and below. Thank you Lara for writing this reality-reminding article, presenting so clearly the immensity of this world where we all spent our short life, dreaming and struggling everyday. Very awakening to hear all those unbelievable testimonies coming from people who have experienced hellish regions and the scientific background about parallel dimensions. It is a fact that during the last decades scientists have focused on exploring atomic particles, photons behaviour and the subject of dark matter, producing many new theories. They have also invested huge sources on experiments, trying to locate the particles that are responsible for the attributes of gravity. Very interesting what you’ve reported about hellish NDAs, which are not widely known. I used to have intense nightmares before starting practicing self-knowledge. I can still recall the places and the attacks I faced there. Working with egos and practicing astral projection has become crucial for me to avoid nightmares and consider those parallel dimensions during lucid dreams and OBEs. It was much more profiting than acquiring only intellectual knowledge from books. Wishing you all the best in your search for the new year! This is also one thing that stood out to me from the video 23 minutes in hell. The person mentionswhen coming back how he saw his body lying on the sofa, much like many out-of-body experiences people have had, and saw how it was more like a vehicle and how temporal it looked. Then he saw “a puff of smoke go up” and he asked the divine force present “what’s that?” God said “your life.’ He said ‘is that it? it was over in a second’. He mentions how live is very short compared to eternity. This is also what Belsebuub has mentioned many times, how fleeting life is when faced with eternity. It helps me to place life in a different light. Seeing it more as a time for work. And to be very serious about it. Your articles on NDE’s, experiences in hell, and the reality of what comes to us after death has always shaken me to some degree. In the past I have had maybe two experiences being in hell, in some kind of a dream state, observing the surrounding without feeling much physical distress, and I have often reflected on or intellectually acknowledged the existence of hell. Its always been somewhat an inspiration, to take note of the urgency, but in all honestly it has really remained a belief with an altering flavor of importance depending on my mood. But last night I experienced something different that I wanted to share. I had a dream that ended with me coming out of hell. It was probably the most frightening feeling I have ever felt in my life. It could not have been a figment of my imagination, as I had not considered hellish states to be so profoundly evil and terrifying. Upon waking up, I was just stunned at how much I have previously glazed over about the existence of this place and I felt ashamed for even thinking that I was afraid of hell without having even previously tasted anything remotely similar to what had just happened to me. The first part of the dream had a somewhat uneasy but mild dream scenario, and ended with me being half submerged into the earth. The experience of hell (or partial hell) really happened and ended within a matter of seconds, at most a minute, but seemed in someway profoundly long as though the torment I was facing had an echo, or as though longing to escape was eternal. During this brief moment of fright, there were several demonic beings surrounding me, which I could not see, but could hear and feel their presence. I don’t recall them actually touching me, but they were quite close. One in particular seemed like someone in charge of the gathering, similar to the hierarchy of evil beings that you and Mark have mentioned . But there was so little I could do, it was so frightening my legs were locked, and it seemed as though my whole body was surged with the energy of the abyss. I was so frightened that I could barely do anything but be in agony, although I wasn’t in any physical pain, more like a pulsating fear. The forces were so immense and so quickly gathering, while the demonic beings stood near by laughing. I eventually got out, as I hadn’t gone down into the earth completely and I woke up in bed with almost the same pains of fear that pierced through my legs. I really could not believe what had happened, but I didn’t have time to believe it or not. It was so real. I thought I had been sleeping well into the night, however when I looked at the time, maybe only an hour had passed since I had gone to bed, and maybe just over half an hour since I had fallen asleep. I have always felt that on a personal level, I have so much more work to do to be free of the grips of hell, and I tried my best to not live some kind of fantasy that I have some kind of security because of my spiritual interests and activities. I don’t really know what to do next but really take seriously the vibrations within me that lead to abysmal states. Surprisingly, I felt my day yesterday was spiritually productive and reflective, I went to sleep thinking that I had done some good, and finally getting somewhere with some recent reflections. Not that I thought I was doing great, or I was blind to some superior version of myself, but it’s interesting to see how much more there is to understanding how are lives are going and what is at stake every day, and in every moment and interaction. I really don’t know what to say, and while it was a frightening experience, I hope I don’t forget it. Like you say, I also had a few experiences in hell where I was more like an observer, without feeling the gripping fear. It was more like I was being shown around, and in one in particular, I could see how there was no escape from it, like once somebody got there, even if they tried to escape, there was nowhere to go and they would eventually be caught again. Unlike you, my day yesterday was not very spiritually productive, as I saw myself falling into some strong emotional states and could not really get out of them despite trying to eliminate those feelings. It made me feel very hopeless, like my inner states were too strong/automatic to overcome. 🙁 Of course, there is no other way just to plod on, trying to understand these reactions somehow even though it may often seem impossible. Anyway, thank you very much for sharing your experience again, it triggered some personal reflections for sure. Thank you Olga for sharing this relevant experience. You say “I didn’t have time to believe it or not. It was so real.” This just really makes me consider again that people who have experienced it will never question if it exists or not, it is not a matter of believe, they were there. I feel I can relate to what you’re saying about us thinking about how we’re doing, good or bad or whatever. But that it becomes obsolete when confronted with the real greater measurement. Outside of your experience I like the point you mention about not tricking ourselves into feeling secure, even subtly. Even if we have access to certain special information and tools, or because we are trying the right things, and thus somehow think that some okay efforts and time? will get us there. But yeah, we need to actually live it within our lives ourselves, today. Thanks for sharing that profound experience Olga. It certainly sounds like one that you are unlikely to forget. Although I haven’t had any kind of similar experience myself, reading first-hand accounts like yours also comes as a wake-up call to me and solidifies the urgency of inner change. Thank you for sharing Olga, reading your experience had a big impact on me. I hope it helps you to find new levels in your inner work. Thanks for another great article! It deserves several reads, methinks, to absorb all the information. I found the allegory of the stone falling through the threshing machine, particularly inspiring: That hell awaits, not out of punishment, but as a result of a grading mechanism that filters out according to size and weight. It ties in favourably with the ‘idea’ of vibrational frequency that you mention. The analogy of the pebble in the threshing machine also stood out to me Craig. It seems there is a precision and objectivity to karma and judgement that isn’t based upon our own ideas of who we think we are, but is instead based upon whether or not our internal vibration falls into a certain category. What a thorough and thought-provoking article, Lara. I especially liked the scientific angle on other dimensions. I do find it intriguing to consider the great cosmological mysteries in the universe, like all the mass and energy we just can’t see, could be “right in front of us” or with us all the time, in different dimensions. It’s a shame we’re so limited in our perception. Thank you Lara for this article…a good reminder of a bigger picture of things, giving a sense of urgency and importance to liberate ourselves and others from these negative influences as much as possible. I had a number of different hellish experiences over the years, I struggle to understand it all, sometimes you just experience things there, which are not in any books, but having your and Belsebuub’s guidance helps so much to make sense of it. You highlight things, which are the most vital.